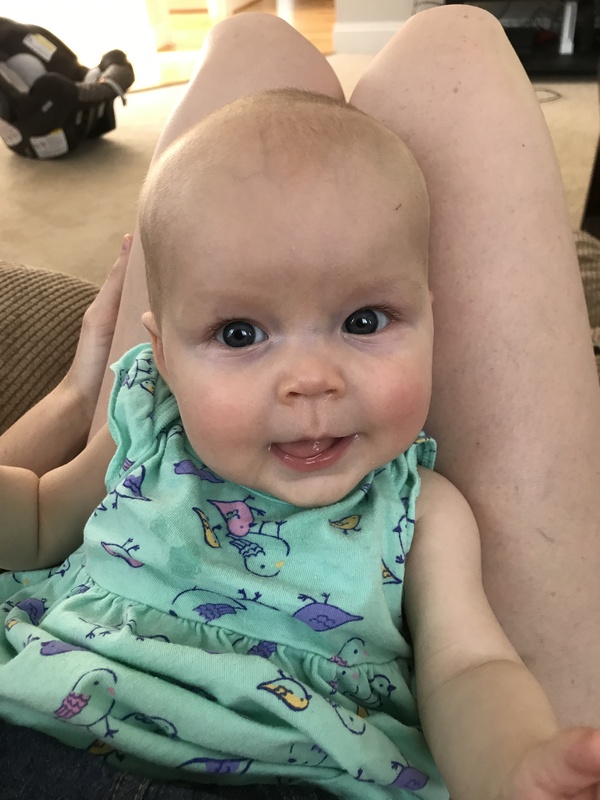 Our granddaughter, Riley, celebrates her 5 month birthday tomorrow, and her growth is astounding. In fact, she’s becoming so dexterous that I bought her her first sleeve of little baseballs and I’d like to see her on a throwing program before the summer is out. In any case, I say that she’s going to “celebrate” her birthday, but really I imagine that she’ll pretty much do what she has done her whole life now, which is eat, nap, and require several diaper changes, although her cooing, smiling, and key-ring chewing has increased considerably. It is remarkable how these simple activities are so engaging to me. We Skyped with Becky and Riley on Monday and she kept us entertained for 40 minutes with that simple repertoire. In fact, I find myself smiling and laughing at pretty much anything she does. I notice that she seems to elicit this reaction from other people when they see her photos and videos. As a good friend of ours has said, “She’s magic,” and that’s a very accurate description. Her little being seems to slow people down and make them just Be, too. I am happy to say that Becky and Jesse both are happily committed. Riley isn’t aware of much now, certainly not aware that she is a Keeper of the Magic. When she is older and goes out into the world seeking its wonders, my role will be to help her look inside for that Magic that she has always possessed. Right now, her great power is to remind the rest of us that we have the Magic, too. Riley doing her ET impression. 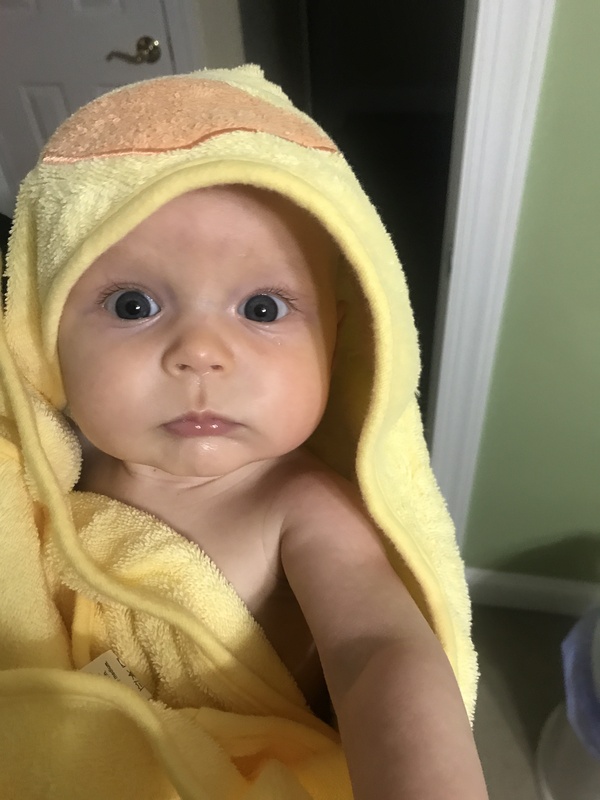 This entry was posted in Life is Interesting, Uncategorized and tagged being a grandfather, Magic of Life, Riley Harper Dice. Bookmark the permalink. Showing up with a sleeve of baseballs is the appropriate, logical, and responsible thing for a grandfather to do. Well done! Thanks, Randy. Seems obvious to me. Very beautifully stated, Austin, and Riley certainly is a doll-baby! I can easily see how she can induce a feeling of magic to all who surround her. Babyhood is a beautiful, magical time. Thanks, Bonnie. You’re probably right about the reference! Make sure when you start her on that throwing program that she won’t go on the disabled list with Tommy John Surgery before her 1st Birthday! No, I’m going to build up her arm carefully and naturally as in the old days!